The Italian word chiaroscuro, which refers to contrasts of light and dark in a work of art, came to be applied from the early 16th century to woodcuts in which figures were delineated in dark ink on a coloured background with uninked white areas providing the highlights. 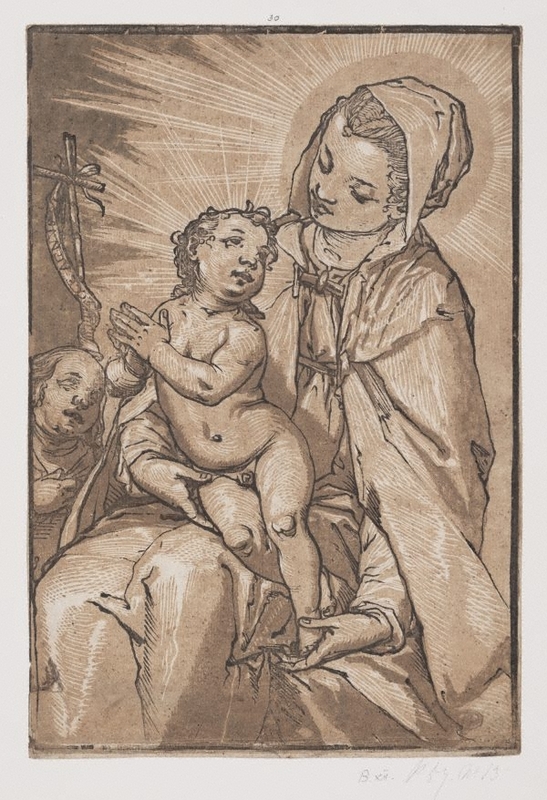 This print was done from an original wash drawing by Casolani, made especially for reproduction by this method. The printmaker used three different blocks (black, light brown, dark brown) which were printed one on top of the other. Bruce James, The Sydney Morning Herald , 'How Great Thou Art', pg. 12, Sydney, 29 Aug 1998, 12s. Appearing in the Sprectrum Arts section.